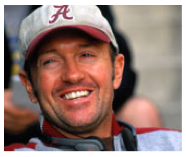 The only thing I can find that might explain the choice of Auburn as Harry Connick Jr.’s alma mater in the 2008 romcom New In Town is co-screen writer C. Jay Cox’s writing credit on Sweet Home Alabama. Maybe C. Jay, a BYU grad, was in Alabama scouting locations back in 2002, researching the culture. If so, then surely he heard about the good guys (because here he is in 2003 dressing like the bad guys) and maybe “Auburn” just stuck with him. Or maybe the whole thing was just a fluke Connick Jr. ad-lib. If it was the video store Brenda ran out to, it probably wasn’t for this movie, at least judging by the reviews of people who watched it with more in mind than catching the Auburn reference (though catch it they did – “And to top it all off, Ted is — brace yourself — an Auburn graduate. Oh, Harry”). 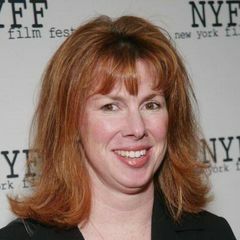 But hey – from what I saw, it’s quaint and formulaic and pop-cornable and you get to hear the great former SNL’er Siobhan Fallon make Minnesotans sound positively… I don’t know… Irish or something. Thanks to Xavier Garanzuay for the tip. We have all these pop culture references, and ‘Bama has what? Ted Knight wearing an Alabama sweatshirt once a season in ‘Just The Two Of Us’. Lolz. I’m sure they clash at first because she insists on greasing the machines with the blood of the poor townsfolk. Eventually, Harry softens her up and she grows a heart in her empty tin corporate chest. She begins to stand up to the evil board, and eventually there’s a scene where she tells them that she’ll no longer participate in this exploitation – they’re going to have to fire her. But they end up keeping her and somehow doubling wages and requiring multiple employees to do a single man’s work makes the factory more profitable than ever. Even the Auburn reference couldn’t get me to see this piece of crap. This is only amusing because Harry Connick Jr. is a Crimson Turd Graduate. I doubt there will ever be a cooler Auburn-themed movie than Big Fish. Just like Forrest Gump pretty much set the bar for Bama. I’ve come to the conclusion that, together, Big Fish and Forrest Gump summarize the two big universities in the state. Big Fish tells us that the prettiest girls in Alabama go to Auburn. Forrest Gump tells us that Bama recruits the severely mentally challenged to play football for them. The HILARIOUS thing is that, when Forrest Gump came out and ever after, I have never, EVER heard a Bama fan complain about how Bama and Bryant were represented in that movie. Connick Jr isn’t a native of New Orleans. He’s a native of Weston, CT, where he attended public school from 1970-1982. His real father is or was one of the presidents of Sony Music and a stockholder in Sony Pictures. So, just remember that when you watch ‘Poop in Town’! I’m good friends with Connick’s cousin and have met him on a couple of occasions. I can say with confidence that their entire family, including Harry, are rabid corndogs. I watched this about a month or so ago and was going to send this in. Too late! TWER beat me by a couple years.